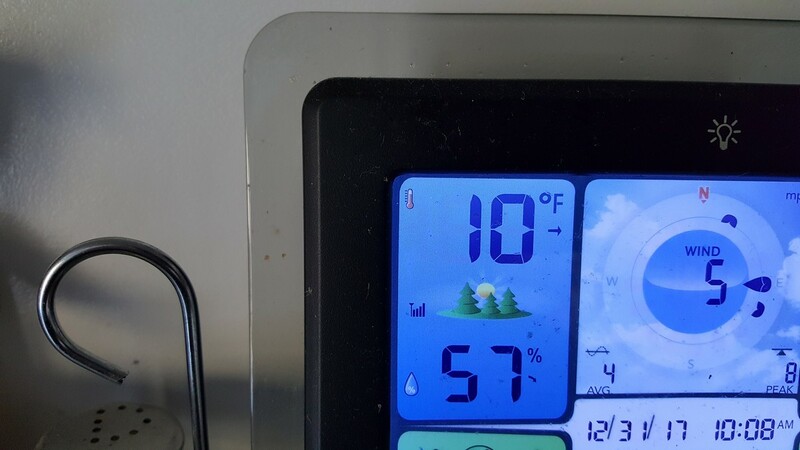 This was the coldest day of the season, and perhaps even the year. 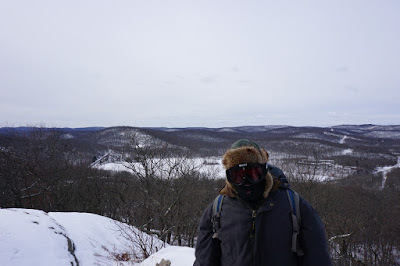 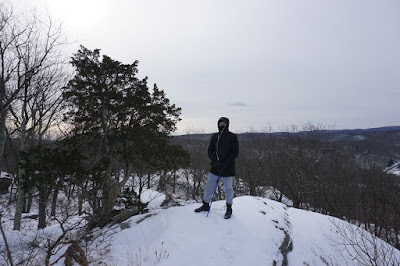 The temperature was about 10 degrees when we left for the hike, and to make matters worse the winds were very strong, especially when we got to the top of the mountain. 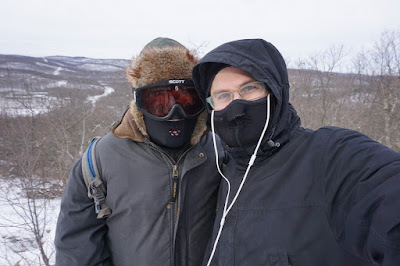 We were both well dressed with many layers, and no exposure. The sky was gray and dreary, and it has just snowed a few inches the day before, so there was a layer of fresh snow. 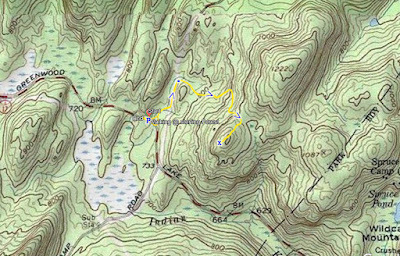 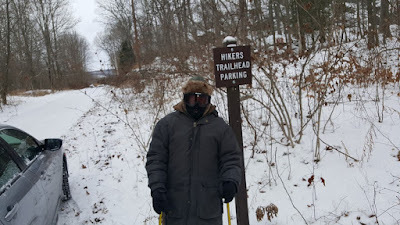 We parked off Route 17A by Clinton Road, and had a difficult time finding the Long Meadow Extension Trail as we expected to see blazes at the parking trailhead. 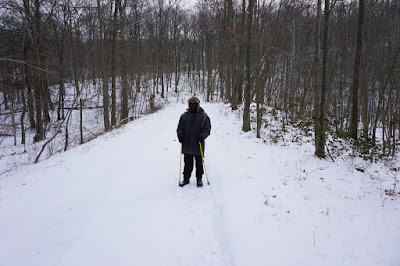 In the end we walked back along the dead end road off Clinton Road and then found the trail off Clinton Road. We took the Long Meadow Extension Trail a short distance to the Townsend Trail, which climbs up slowly via a woods road. 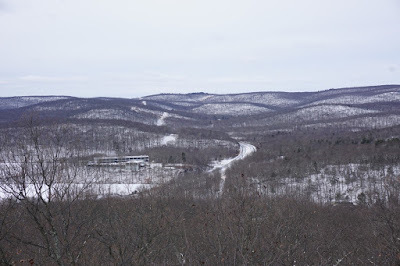 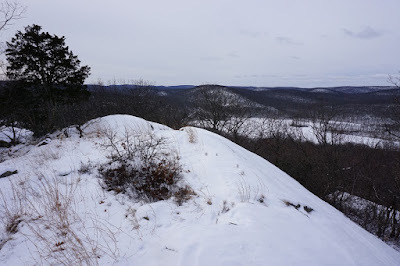 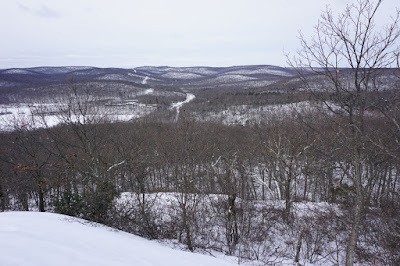 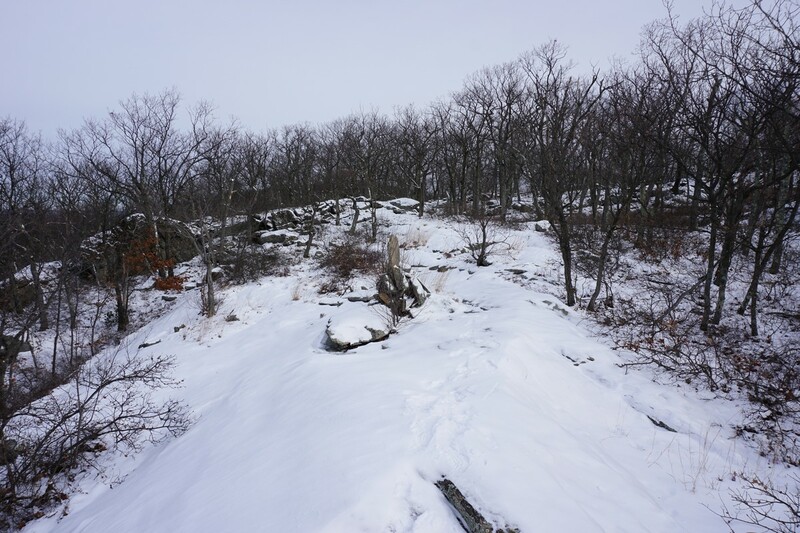 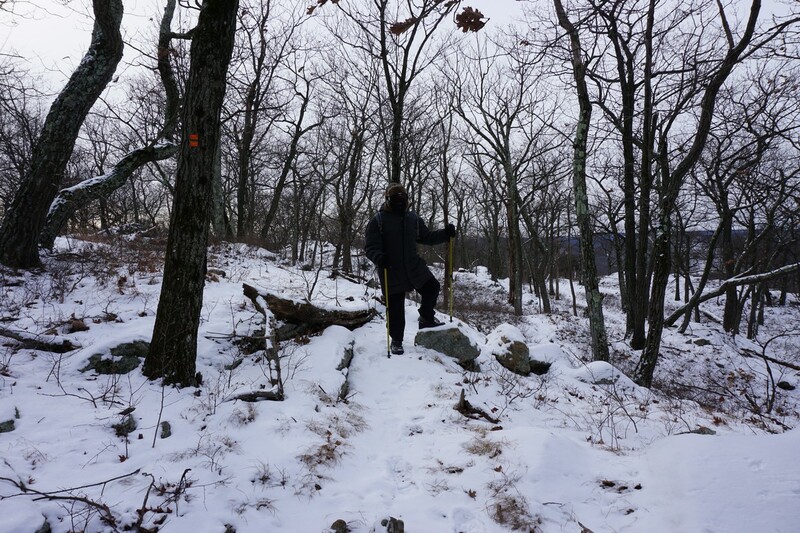 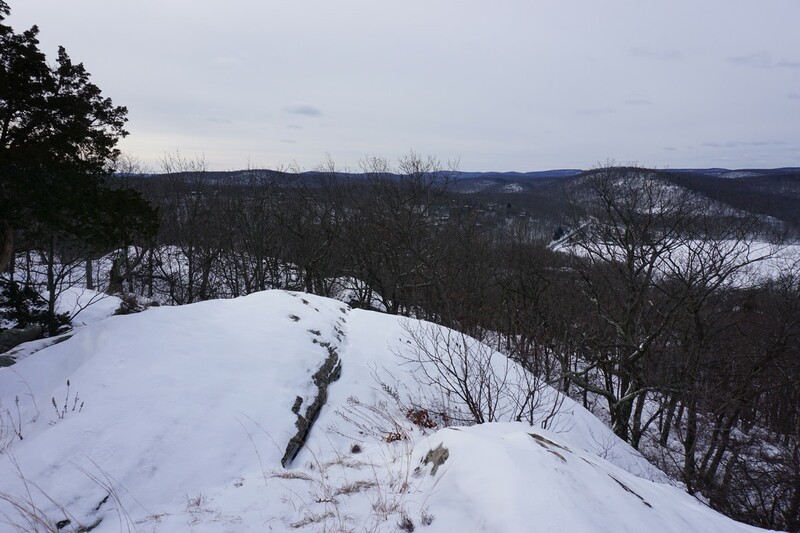 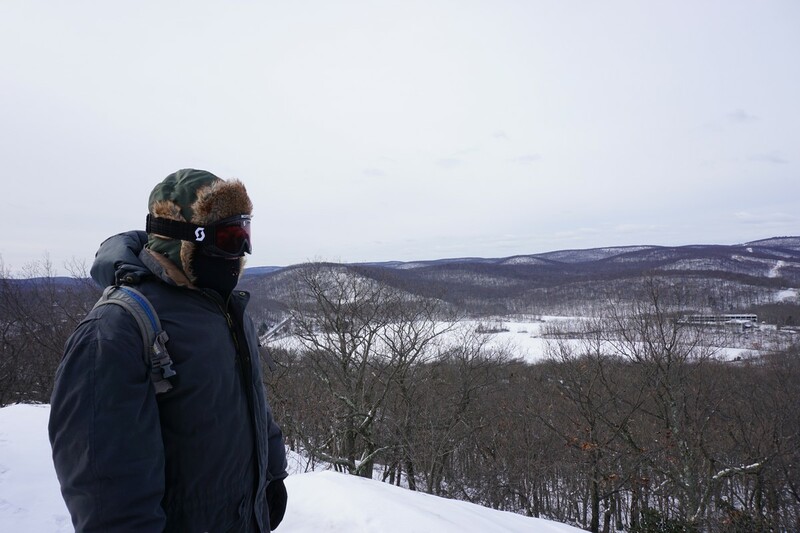 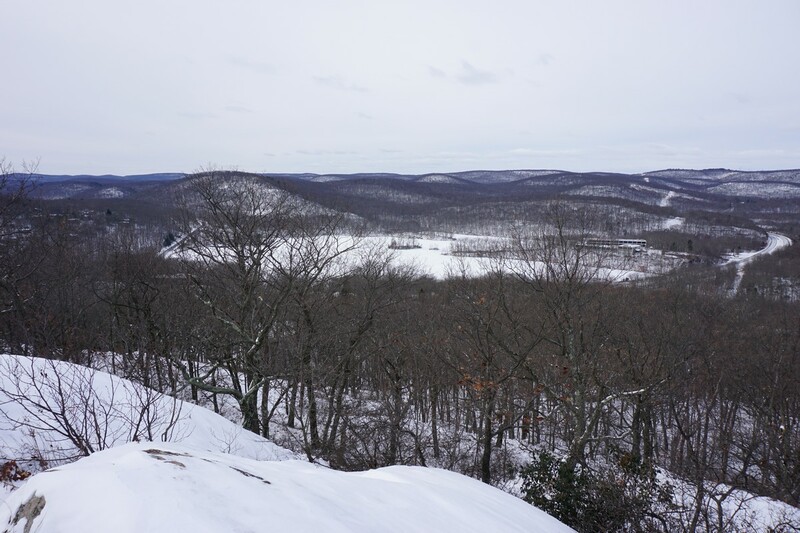 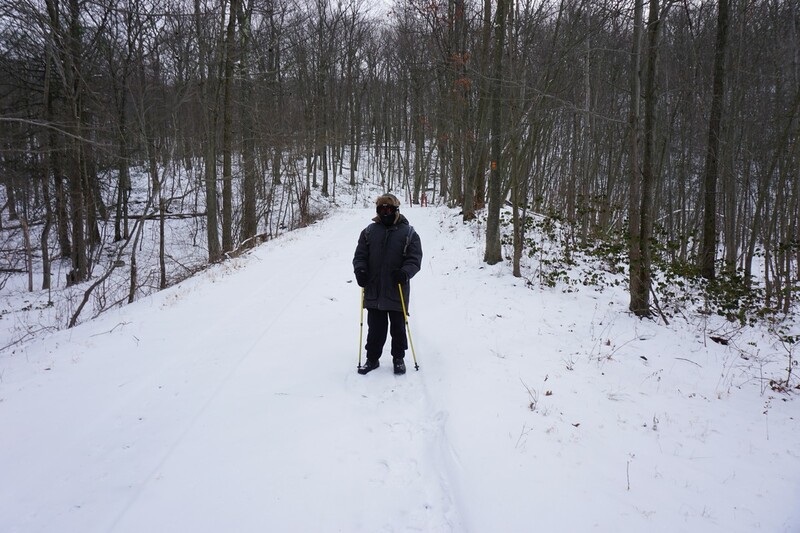 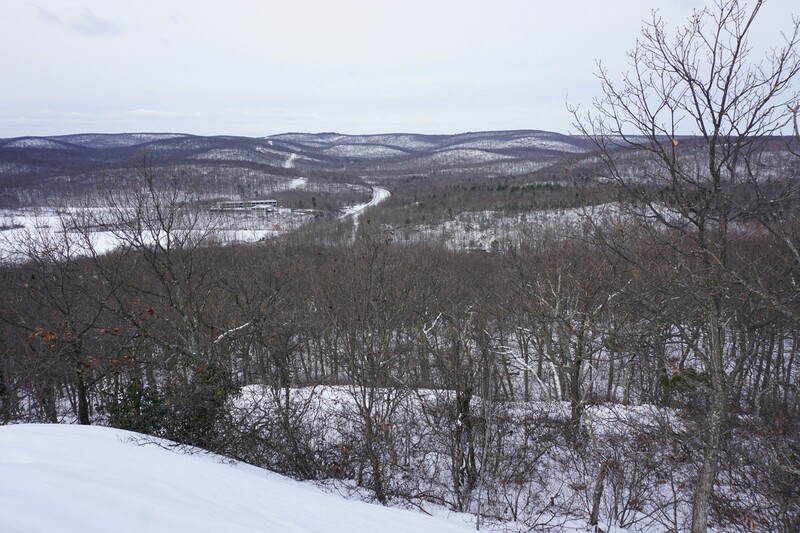 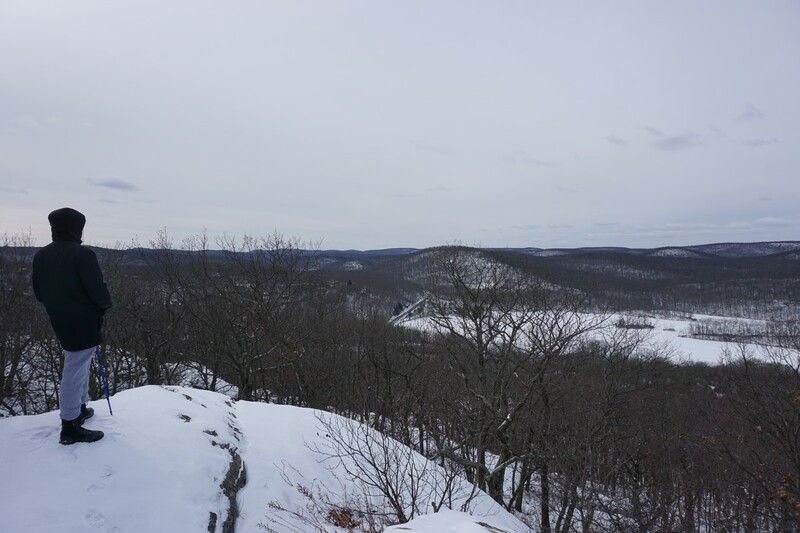 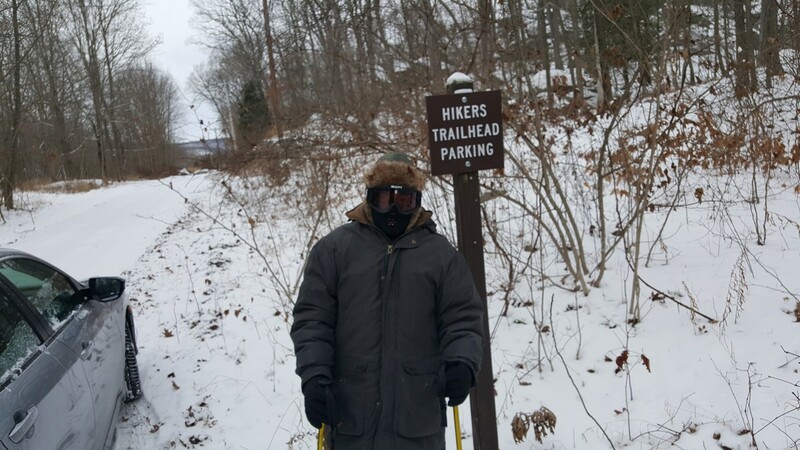 Near the top, the trail veers off the woods road and ascends towards a view of Indian Kill Reservoir, and the Sterling Forest Ski area. 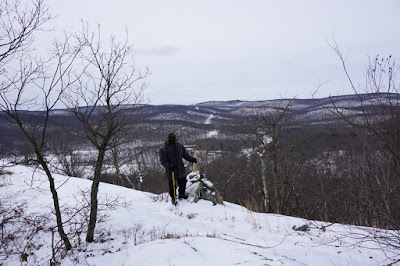 We took some photos at the view, then turned around and went back along the same route.